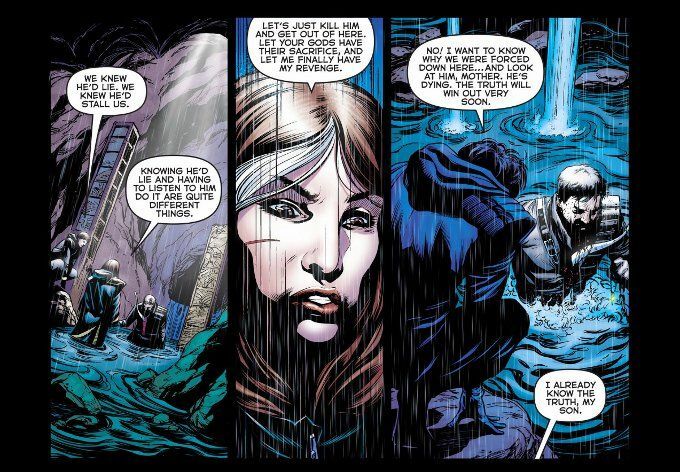 I don't think I'll be reviewing any future chapters of Arrow: The Dark Archer. This is not because I don't enjoy the series. I do! But the pacing of the story lends itself better to a novel than a weekly digital comic. There's little point in summarizing the individual chapters, when nothing really happens beyond "Merlyn keeps telling his life's story." With that being said, the story by John Barrowman and Carole E. Barrowman is a good one. And the artwork by Daniel Sampere, Juan Albarran and Kyle Ritter will please those readers who remember their work on Green Arrow and Batgirl. I may not be writing about this book in the future but don't think for a moment I don't love it!